Beautiful mountain views , peaceful vacation home . My home is located in Awhatukee - 10 minutes from the airport . The home can sleep 8 , It is set up for entertainment & relaxation, it has a beautiful Pebble Tec Heated pool . I have other 2-3 Bdr vacation condos available in the same area .I can send you photos of this home in a seperate email . The home is centrally located, virtually everything is at your your tips. All you have to bring is your luggage. There are restaurants everywhere award winning fine dining too casual bakeries, great nightlife , 5 golf courses within five minutes, 3 major malls within 7 miles one of them a fantastic outlet, two casinos, movies , hiking, biking, walking paths . Or just relax and enjoy the beautiful Arizona sun and pool. The home has tvs everywhere , the spacious 4 Bdr , 3 bath home is over 2200 sq ft. it has a California king sleigh bed in the master , a queen in the second room , two twins in the 3 rd room . two twins in the 4th room . The downstairs has two pull out sofa sleepers . The home is waiting for your arrival . I have been a local Awhatukee resident for 24 years. I Feel like a native! I have three very busy and active teenagers who are all in club travel sports , I own several homes, I run and manage my own real homes. I am the property manager so Extremely hands-on been doing vacation rentals for over 13 years. It's my personal goal to have each and every client feel like I have exceeded their expectations . You won't be unhappy.....all you have to do is look at my reviews ! Location location location, you're 15 minutes to Scottsdale, Beautiful hiking and trails, Mountain View's restaurants, bars, movie theaters on every corner you won't to be dissatisfied. Fabulous home for a fun family stay! Our family of five enjoyed our stay in this beautiful home .The kitchen has been newly updated and we enjoyed the open concept of the kitchen to the family room area....to the outside heated pool. The pool was our favorite! Although the weather wasn't great, we spent a large amount of time in and around the pool. The beds were comfortable and the kids all enjoyed the having their own bedrooms. The neighborhood was quiet and the location was an easy drive to the different places we visited! Denise was awesome to work with and quick to respond to any questions I had prior to our trip and while we were there. I would love to book a stay here again! Our Family has enjoyed Arizona for many years during spring break. Denise the owner was incredible to work with. The home was excellent as well as the location. We definitely enjoyed our stay and look forward to future stays with Denise. Great place, clean, nicely decorated, all the amenities you would expect. Grounds are clean and the place has a private feel to it. Located in a great part of town, we walked as everything is so close or just a quick uber trip away. Denise runs a tight ship, she answered any questions we had and suggested some great places in the area to try. We will definately be coming back. The house was clean, comfortable and a great location. The pool is a great size with comfy outdoor seating. Denise is a great host with great communication. If we’re every in the AZ we’ll definitely be staying there again. Thanks again!!!! I am not sure where to start when it comes to truly how awesome Denise has been as well as the properties she manages. I have had the privellage to stay in not 1, not 2, not 3, but 4 of her properties. Due to some unforeseen circumstances my family was displaced longer than we thought while waiting for our home to be built hence the reason for 4 rentals being used. Not only was Denise extremely organized and able to accommodate our crazy requests of extending our time with her, she made it look easy when I know it was nothing but easy. Having run a vacation management company before I knew all of the headaches she was faced with and as I mentioned she pulled it off making it look easy. She literally opened a brand new unit and furnished it as well as having all of the bells an whistles the other properties had within a 3 day time period, it was amazing. I could go on and on telling you several things she did for us that made us feel as if we were the only tenants she had knowing darn well it was part of peak season and she was slammed packed, however if I do you’ll never get to making your booking. :). If her hospitality wasn’t enough, consider the fact that each one of her rentals are what you see in the pictures. They are very nicely furnished and decorated with all of the amenities one would need when traveling for a short getaway or an extended stay. I’ve lived in Arizona for over 30 years and when I tell you that these homes are perfectly located in the city I mean it . Airport, stadiums, shopping, fine dining, quick fast food, hiking, biking, and much more are all within minutes and no more than 30 mins away in a car. Let’s not forget the on-site amenities. There are 2 pools that rival some of the nicest hotel pools, a huge movie room with reclining seating for 12+ and a TV just shy of what you would see at the movie theatre. The property also has a arcade, shuffle board, poker table, ping pong and a gaming system for those of you who have kids that must play fortnite or their life will come to an end. If you are still reading this and haven’t booked your stay with Denise, let me say this one more time, Denise’s properties as well as hospitality is second to none, now book your trip before someone else snags it from you. This is a great property! This is one of the nicest VRBO properties we have stayed in as it is well appointed and the backyard and pool area are great for relaxing in! The location is convenient to the I-10 ,downtown Phoenix and Scottsdale is also a short drive so its a great location to get around to the sights. Denise was awesome to work with, she was very professional and responsive, which made our overall stay great! She also made the check in and check out process seamless! 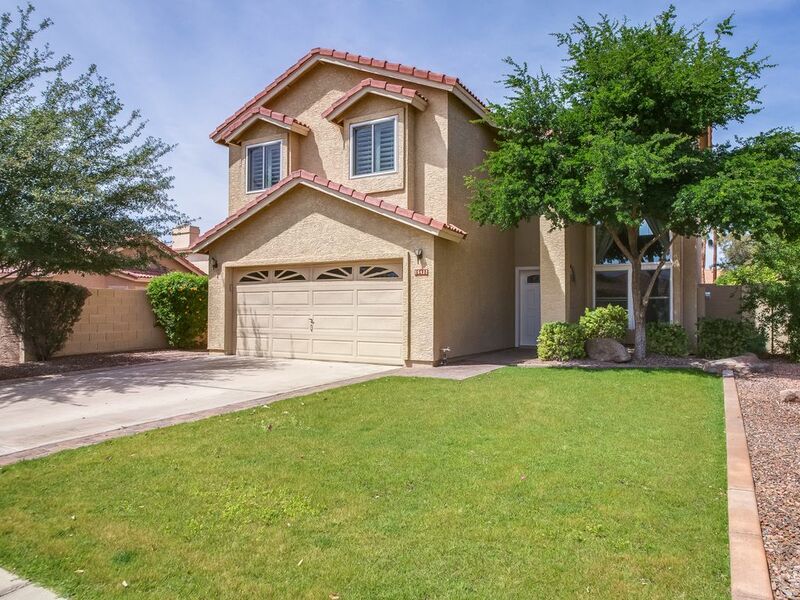 We highly recommend this property and will definitely contact Denise to book our next vacation to Phoenix! Additional $300 per week when a holiday is involved.